Are you or someone you know in search of a Polk City dui attorney to help you fight your Polk City dui case? If so it is important you speak with an experienced and aggressive Polk City dui lawyer who has the resources and experience necessary to fully fight for you! Dui attorneys in Polk City realize that if this is your first offense, you may face up to 6 months of jail time (9 months if you blew over a .15), a license suspension that can last anywhere from 6 months to a year, a minimum of 50 community service hours, and fines up to $2,000, depending on your alcohol level at the time of your arrest. If you’ve already had DUIs the penalties will be even harsher. If you have already been convicted of dui it is imperative that you immediately contact a dui attorney. Polk City officials are relentless in prosecuting repeat offenders. If your Polk City DUI is a second offense occurring within a 5 year period, there is 10 days of mandatory jail time that must be served with a possibility of imprisonment up to a year. Fines range from $1,000 to $4,000 depending on the breath or blood alcohol result, and your license will be suspended for 5 years. If this is a third offense within a ten year period then it is considered a 3rd degree felony with 30 days mandatory jail time, a $4,000 minimum fine, and license suspension for 10 years. A fourth offense is a felony that is punishable by 5 years in a Florida State Prison and a lifetime license suspension!! When you hire a dui lawyer Polk City arrestees learn their options. You can enter a plea and accept these punishments without question. Or you can consult a dui lawyer in Polk City to see what defenses you may have available. With a good defense criminal charges can be reduced or dropped altogether. A Polk City dui lawyer can fully discuss all options so you can find a strategy that works for you. Maybe the dui attorney can challenge the reason you were stopped. There may be a way to challenge your breath or blood test result. You won’t know until you speak with an experienced dui lawyer!! At Finebloom, Haenel & Higgins we want to make sure every dui arrestee gets a fair deal. We will fight to achieve the best outcome for your individual situation. 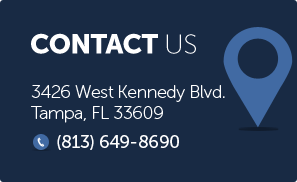 Our dui lawyers in Polk City are available to speak with you 24/7 to discuss your options. Call us now at 1-800-FIGHT-IT. Let us explain how we can help you fight your dui case!